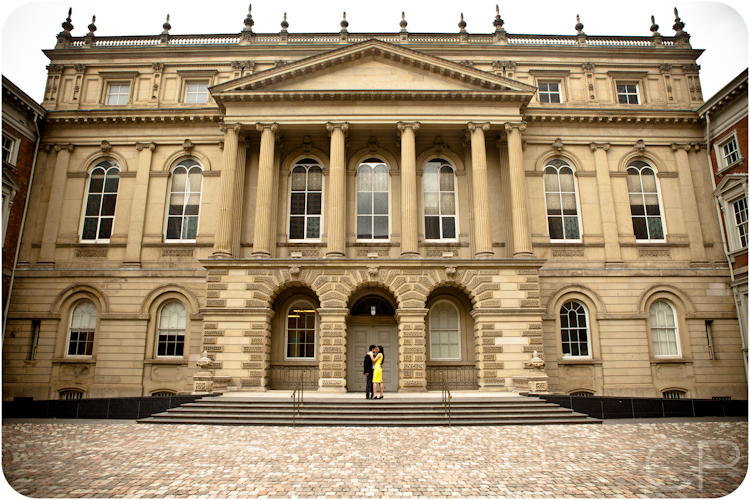 When Indi first suggested Osgoode Hall in Toronto as her engagement shoot location, we really didn’t know what to expect since we weren’t too familiar with it. (Hey! 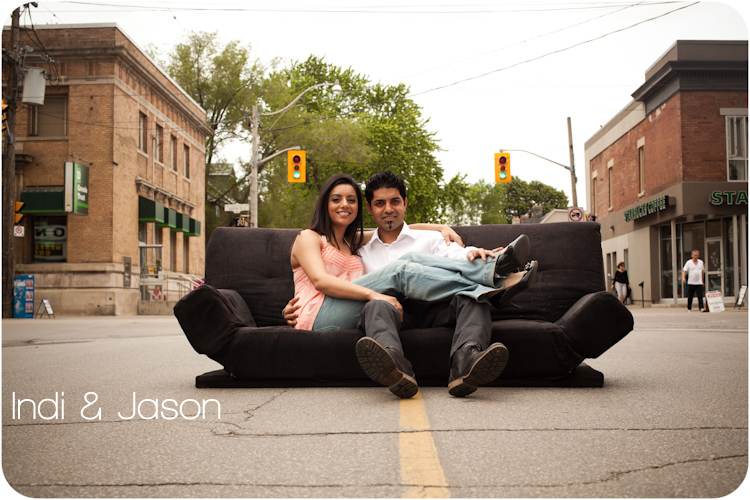 We’re new to Toronto!) But once we arrived, we instantly knew why she picked this magnificent landmark! Although the location is right downtown, next to city hall, and amongst all the hustle bustle, it was completely serene inside the gated grounds during the shoot! Once they kicked the nerves, these guys were totally natural; you can tell how into each other they really are. We decided to wrap up the shoot with some food (not surprising at all! ), so we took Indi & Jason to our favorite French bistro–Sophie’s Cafe for some amazing food!